Chloe Lamford's ragtag set is a triumph, a 1990s hotchpotch of detritus, old sheets and net curtains that is an exciting backdrop to Cleary's creative directorial decisions. Chloe Lamford’s design creates a chaotic fantasy world, in which the two seem half trapped in childhood, eating plastic play food and fighting shop dummies. Quite rightly, Cleary treats it as the period piece it is, but he and designer Chloe Lamford also look forward to later Walsh plays with a set suggesting a stage within a stage on which Runt and Pig are condemned, like two ham actors, to act out the same script. 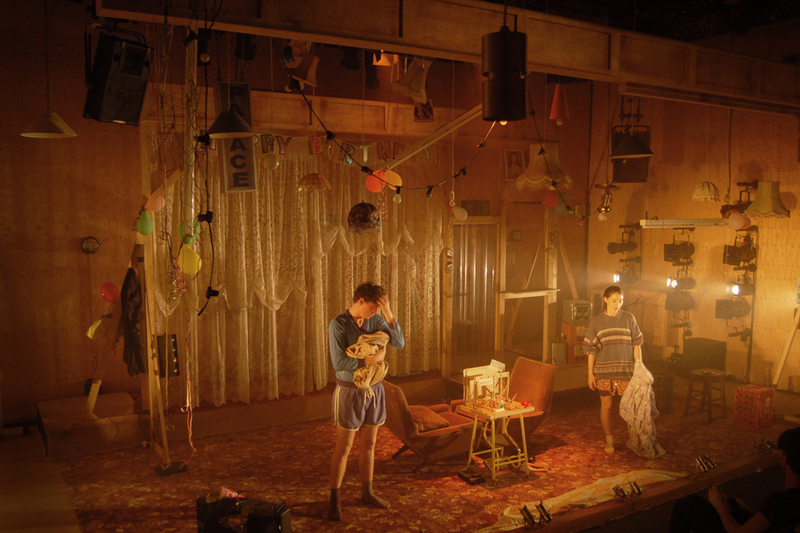 Cleary marshalls their passions well, and with the sound designer Tom Gibbons and the lighting designer Anna Watson makes something evocative of Chloe Lamford’s beautifully cluttered set.